The hidden secret of the Piddle Valley. Well, not for much longer as this place is worth a shout out. I discovered The Muddy Petticoat Shop at the beginning of the year after admiring a friends sassy leopard print clutch bag which she’d picked up in Muddy P’s. So what is Muddy P’s? 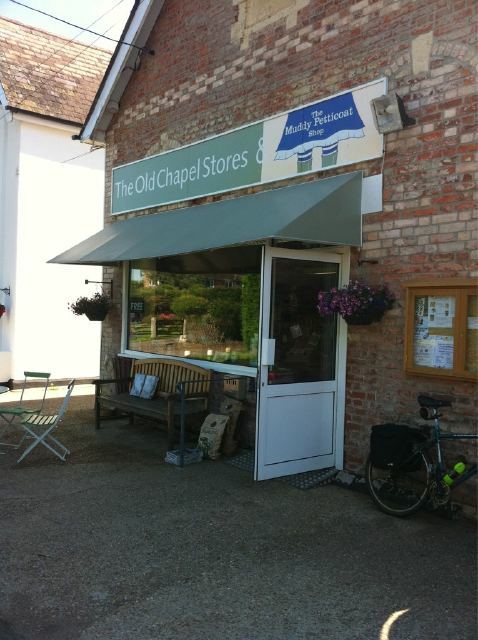 It’s a shop selling new and nearly new clothes – mainly womens and kids on the first floor of The Old Chapel Stores in Buckland Newton – which in itself is a quaint country bumpkin village shop packed full of local produce and labels. 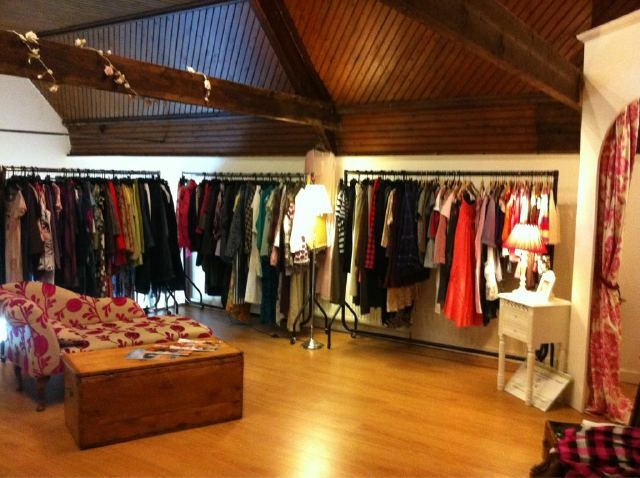 Fashion labels on sale range from high street including: Top Shop, Next, Warehouse, Monsoon, Joules, Boden, Coast, Karen Millen, Hobbs to designer. The product is neatly merchandised on rails in an easy to browse way – which is unusual for these types of shops, not mentioning any names of other wannabe nearly new clothes stores in Dorset. There’s even a plush chaise lounge for friends to chill out on while you try on your new treasures. Muddy P’s – check out the print on that chaise lounge! 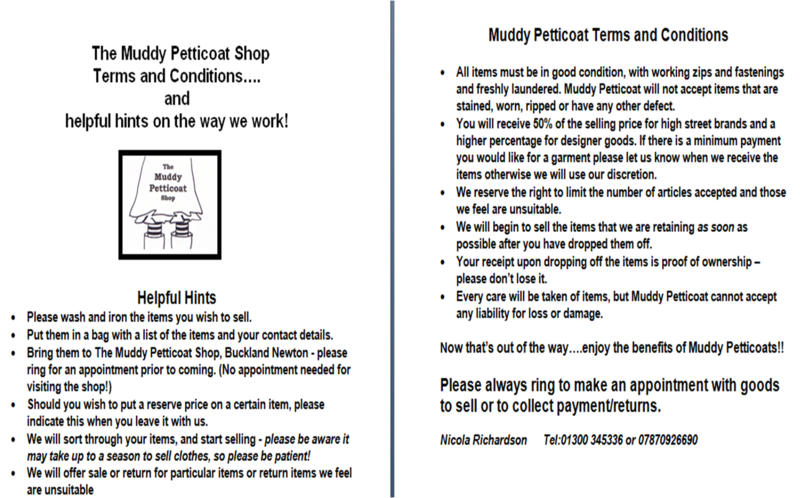 If you’re interested in selling your clothes check out Muddy P’s Ts and Cs at the bottom of this page and let Nicola Richardson’s shop take out the pain of selling your clothes. What do you get when you mix cider & running?